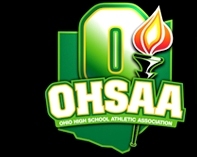 The Ohio High School Athletic Association Board of Directors met Thursday (August 4) in Columbus for its first meeting of the 2011-12 school year. Written by Matt McGowan on 01 August 2011. The 2011 USA Masters Outdoor Track & Field Championships was held July 28-31 at Baldwin Wallace College in Berea, Ohio. The new track surface is one of only four of its kind throughout the world. The same surface was used at the 2008 Beijing Olympics. Mark your racing calendar for the 5th Annual OhioHealth Columbus CREW 5K Race and 1 Mile Family Fun Walk on August 13th, benefiting the Crew Soccer Foundation. With a few more months of hot weather running many athletes are looking forward to the fall with cooler temperatures. Don't forget to drink plenty of water before and after your runs. This is especially important during the hot and humid days of July and August. The RUNOHIO Grand Prix continues this weekend with the Sunday, July 31st Pro Football Hall of Fame Enshrinement Festival 5 Mile. Even though the Pro Football Hall of Fame game has been cancel - the race, festival and 2011 Pro Football Hall of Fame Enshrinement Ceremony will take place during the week long celebration. The 2011 Pro Football Hall of Fame inductees are: Richard Dent, Marshall Faulk, Chris Hanburger, Les Richter, Ed Sabol, Deion Sanders, and Shannon Sharpe. Nike asked us to help you get all you can out of your running. Take Every Advantage, as Nike sees it, is to use all the technology, and common sense that you can to get more out of your running. The Nike Lunar Glide + 3 is the shoe that Nike has focused this campaign about. The RUNOHIO Grand Prix continues this weekend with the Columbus Running Company Mile Dash on Saturday, July 9th. The staff of RUNOHIO hopes you are able to enjoy the 4th of July Weekend with family and friends.